List Your Vacation Rental Today – Choose Your Marketing Plan Below! BreakAwayVR.com guarantees that during your first year of membership, you will receive paid rental bookings from your Break Away Vacation Rentals listing worth at least 500% your annual cost of membership. 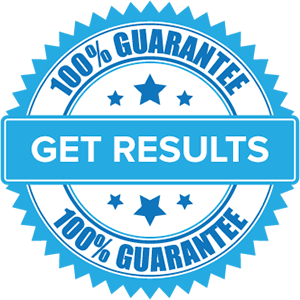 This guarantee is effective for the first year of your new membership. If you do not receive 5 times your membership fee in bookings during the first year of membership, notify BreakAwayVR.com. Your membership will be EXTENDED FOR FREE until you have received a 500% return. This guarantee applies to listings offered year round. This guarantee does not apply to timeshare units OR for listings that do not display at least 10 photos, rates and current availability during at least 11 of the 12 months that the ad is online. Our vacation rental marketing packages harness the most powerful marketing resources available. We aggressively market each property. Break Away Vacation Rentals parent company Villa Marketers is the longest standing vacation rental marketing company in the industry, we know how to bring your property exposure. Our marketing packages leverage SEO, Google Pay-Per-Click campaigns, content marketing, social media, email and search engine marketing techniques to help your business. We create targeted marketing campaigns for your property to ensure it gets exposure. We’ll get the phone to ring and produce bookings. Our marketing options are designed to help you BreakAway from listing sites that are holding your business back. We empower your business with the ability to accept bookings, process payments and deal directly with guests. NO EXTRA FEES! NO COMMISSIONS! NO MIDDLE MAN! You’re in control! Not only do our vacation rental marketing services promote your property, they help you manage it too. Some of our packages include online booking (optional) and guest reservation management tools. These tools will help you operate your business more efficiently and allow you to process bookings yourself. They save you time and money while streamlining your business. You can also use the software off of our website and use it with your own personal website to manage all of your bookings, guests, and reservations. Join our independent network of vacation rental managers, owners and travelers now. Increase Your Exposure To Millions! BreakAway Today! Mike and I have owned condos in PCB, FL for 20 years. We have advertised solely thru VRBO until their business model changed. We feel it is no longer friendly to Owners or our Guests. We selected three other sites to try. Break Away Vacation rentals has been the best by far! Jay got us on page one for the Google search for our property very quickly! We are getting lots of inquiries which turn into bookings. There are many new sites joining the market but we have found that Jay has the knowledge and experience to help us maximize our business. We would highly recommend Break Away a try! We have been pleasantly surprised with the results! The system is easy to use and have been consistently busy with inquiries since listing! The inquiries keep increasing so we will definitely continue to put some of our other properties with Breakaway as well! We will also be renewing our curb ads for the foreseeable future. The feedback from our travelers has been nothing but excellent! I highly recommend breakaway to any vacation home owner that is looking to rent out what they own! Good morning from Alabama. I am very happy with the performance of your listing service. We are booking a lot of rentals. We bought a short-term Orlando rental a few years ago, our first, and we were doing OK but things changed. Thank goodness! we found Jay William. Jay’s continuing updates and informative short-term rental blogs. Five of five stars. We are happy that we listed our Panama City Beach Condo on Breakaway as we are getting many inquiries. Keep up the hard work so we can take back our vacation rental!! Breakaway has been an added benefit which I had not been expecting. We have been getting great additional exposure, as well as Jay's constant work on new idea's and improvements.